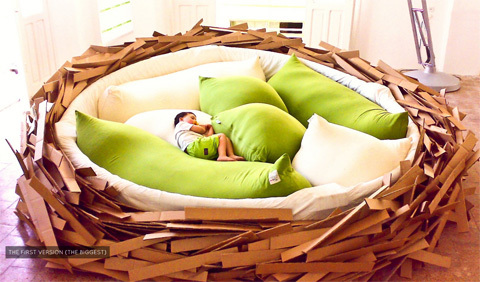 Design never seizes to amaze me… Giant Birdsnest is a concept that totally got me with its innovation. Nature seems to be an endless source of inspiration for us as humans and designers, always managing to fire the next great creative moment. This cool lounge piece of furniture was conceived and created as a prototype for new and inspiring socializing spaces. In fact it’s a fusion of furniture and playground. 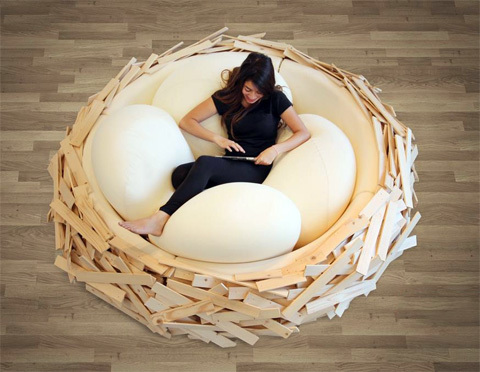 Why constraint ourselves to chairs, armchairs and sofas or just some pillows on the floor when we can make ourselves comfortable in this giant wooden nest, filled with highly convenient egg shaped pillows? Web browsing, working on laptops, reading, relaxing, resting, even knitting or love making can take place in its welcoming arms. 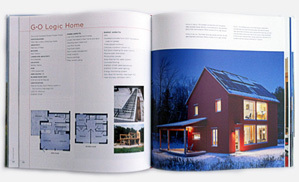 It comes as no surprise that a very creative team – O*GE creative group – having its roots in architecture, specializing in urban design and branding projects, is responsible for it. 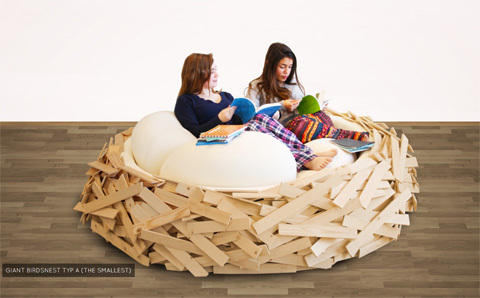 The nest comes in various sizes from a small and intimate nest accommodating up to 2 – 3 people, to a 4,5 m diameter giant nest, ready to host up to sixteen people! Can you imagine being informed about attending the next creative meeting at your company and being confronted with this? The crazier modern society’s rhythms are becoming, the more quite, comfort and a sense of connection with nature people are seeking. The giant bird nest is a perfect example. Simply jump in, enjoy and let creative juices flow. How can I reach the person to contact regarding the birds nest lounge? We are very interested in your item.